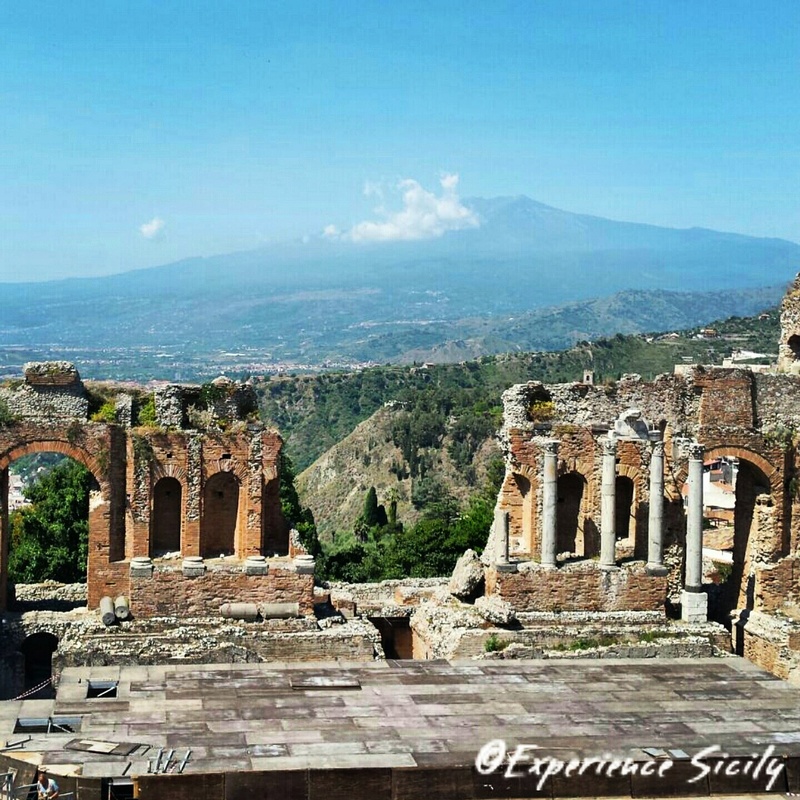 Taormina’s Ancient Theater, or Teatro Antico, is outstanding. In 2003, I was fortunate enough to have seen Elton John perform a 2.5 hour concert here. What a night! With the Ionian Sea and the Bay of Schisò as the backdrop along with the real showstopper, Mount Etna, fuming to the south, few other views are as enchanting. The theater was built in phases, starting in the 3rd century BC by the Greek inhabitants, who added to it significantly in the 2nd century AD. The Romans then added their ingenuity in the 2nd and 3rd centuries AD, transforming it from a auditorium for dramatic theater to an amphitheater for grand spectacles. It is the second largest ancient theater in Sicily after Siracusa, and we’ll be visiting here during our Savoring Sicily small-group tour from September 22-October 4, 2016. Elton John at Teatro Antico? and you saw it???? Definitely fortunate! I agree with Rotwein Wanderer! Wish I could have been there – lucky you!! !